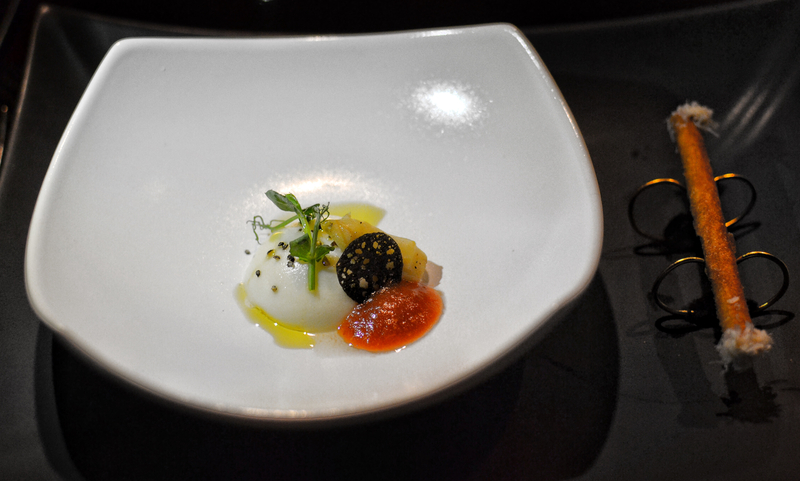 L’ATELIER de Joel Robuchon, located in the luxurious Landmark, is the perfect spot for a fine dining experience and ideal for celebrating Le French GourMay. 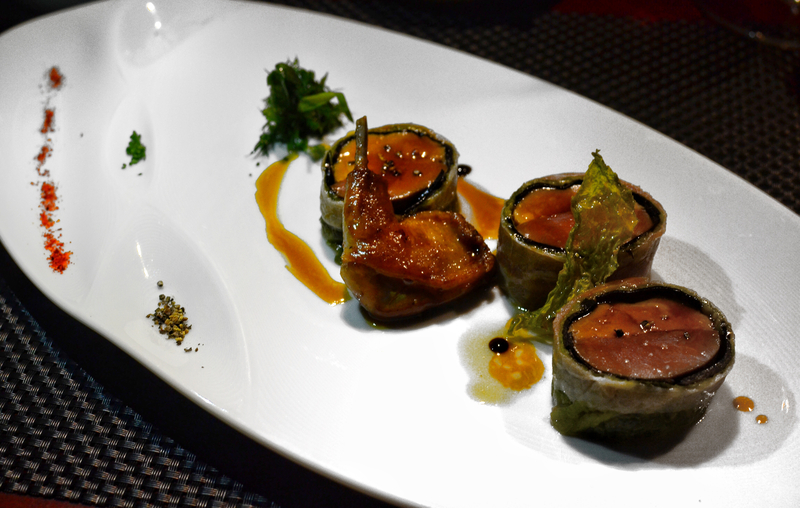 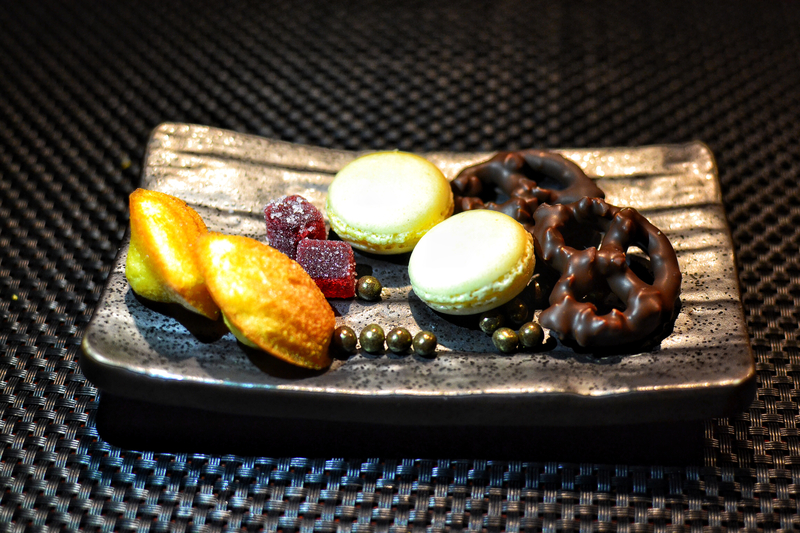 The restaurant holds three Michelin stars and features a chic bar seated area for an engaging and enjoyable meal. 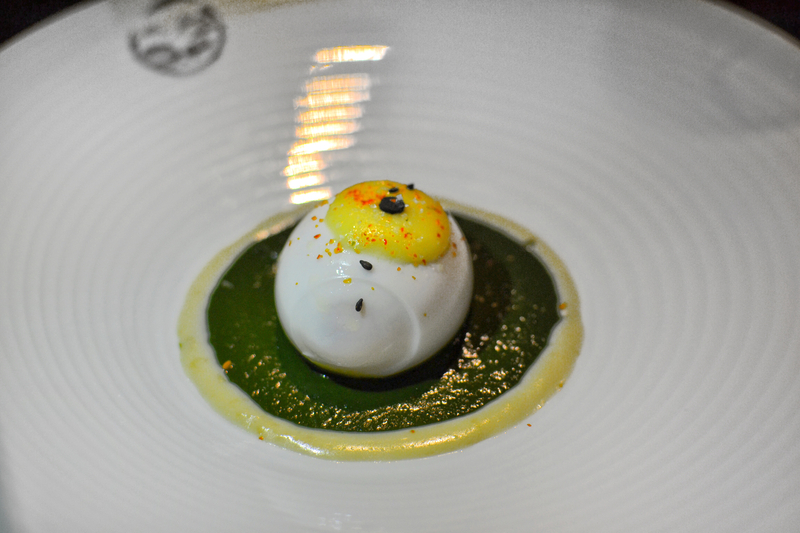 We sampled their Le French GourMay menu which features 4-courses and a perfect wine paring with this year’s Alsace theme. 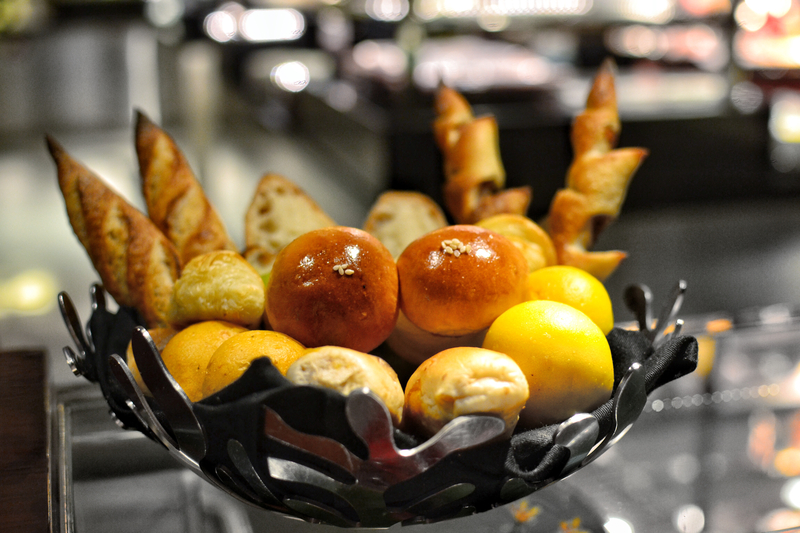 We loved their generous and intricate bread basket as well as refreshing amouse bouche which started us on our culinary journey. 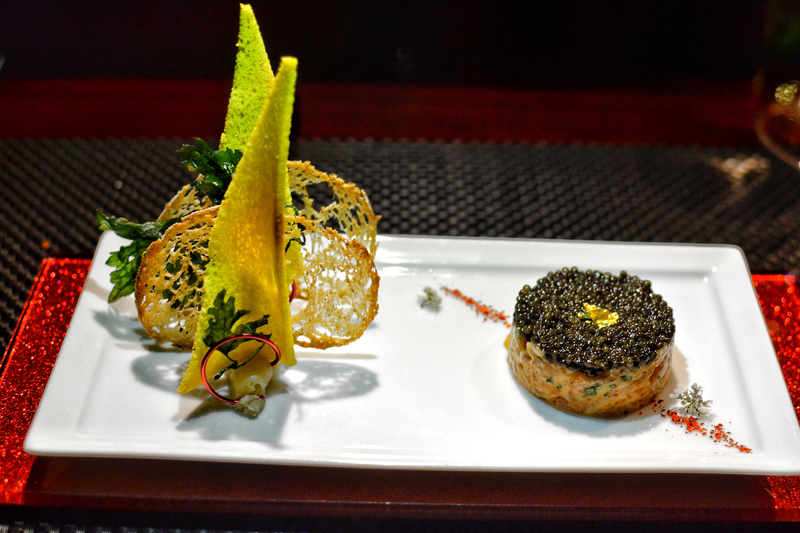 For starters we highly recommend the decadent and rich Imperial Caviar with Salmon Tartare and Shiso which was full of flavour and texture. 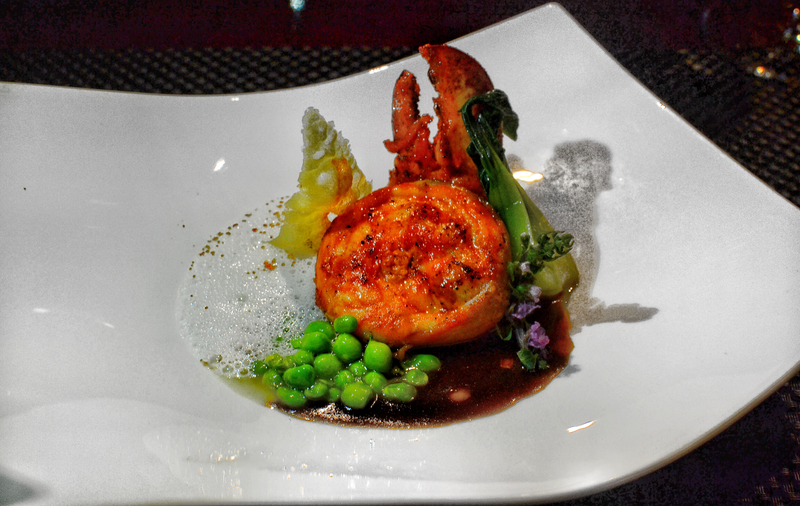 Next up came the fragrant and fresh “Le Homard” Roasted Maine Lobster which paired perfectly with Green Peas in Spiced Ravigote Sauce. 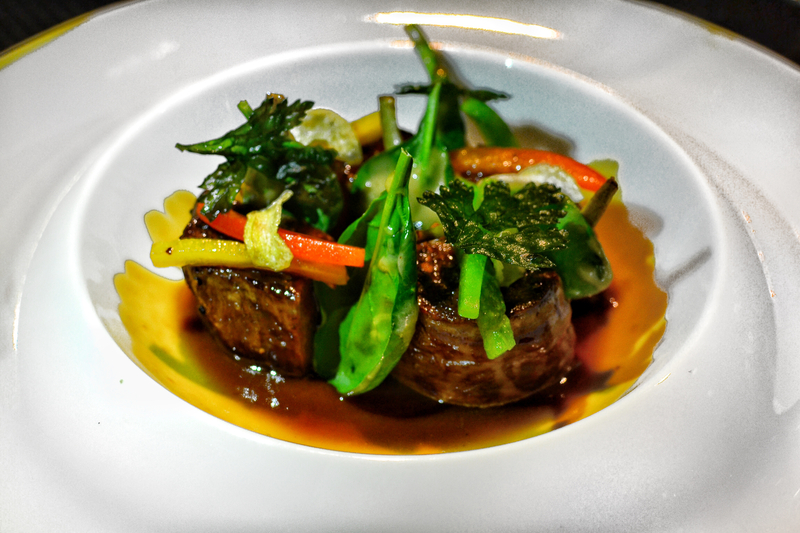 The main course options include a tender, melt in your mouth Teppanyaki Kagoshima Beef Tenderloin with Baby Spinach with Wasabi and Purple Artichokes, and their signature Slow Cooked French Pigeon with Foie Gras and Bacon accompanied with Chicken Bouillon and Petit Raviolis was was delicious and a definite Hungry Hong Kong favourite. 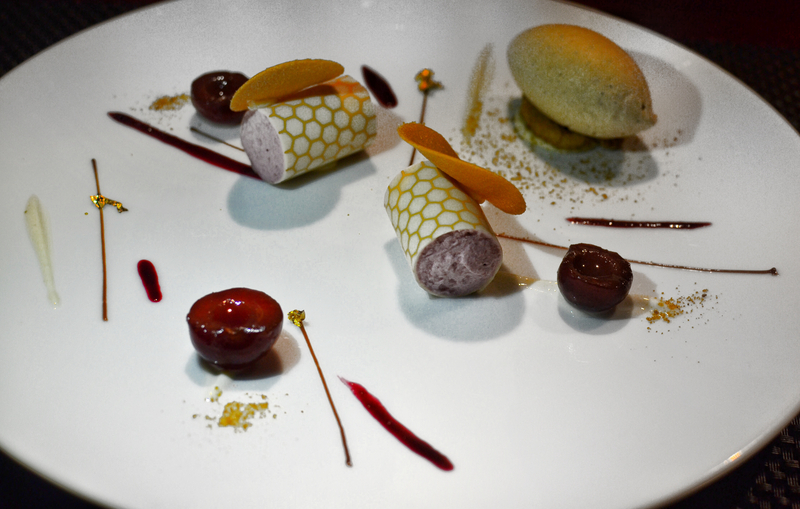 The tart and creamy Cherry Mousse with White Chocolate Tube and Gingerbread Ice Cream was the ideal finale to a truly incredible dining experience.